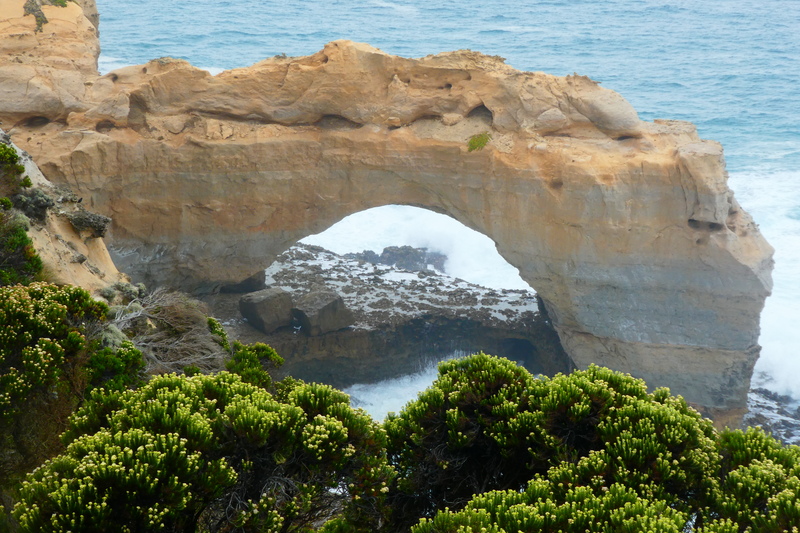 I decided it was time for another look at the gorgeous Port Campbell National Park and, further along, the Bay of Islands Coastal Park. 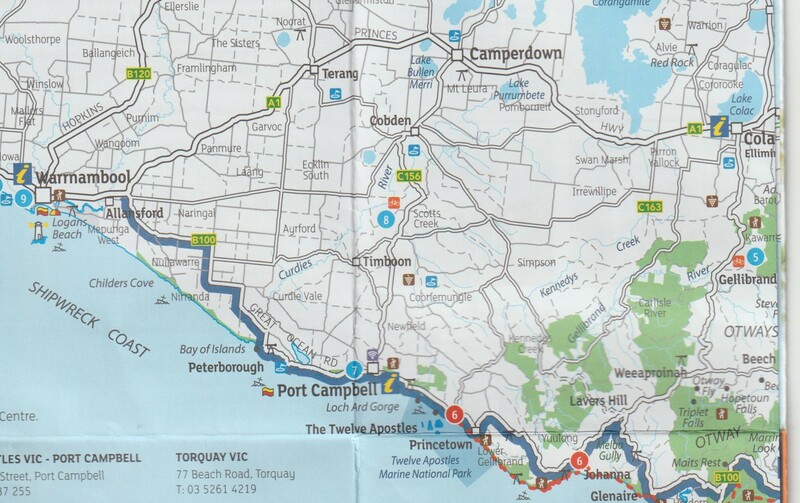 This time I took the Princes Highway from Melbourne through to Camperdown to avoid the longer ocean road and cut down to Port Campbell. 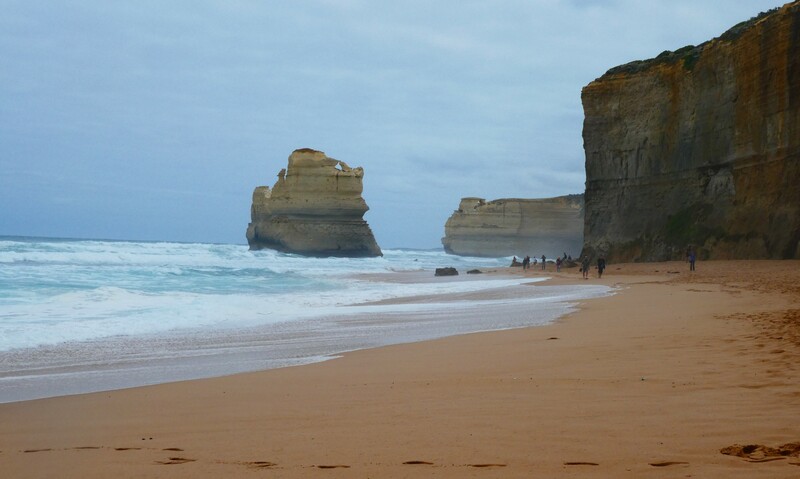 This is the iconic view you get on all the tourist brochures, the spot known as the Twelve Apostles. 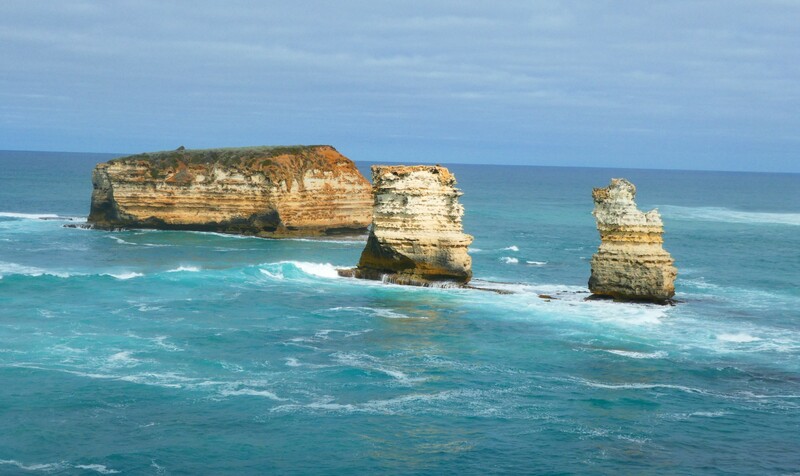 The rock stacks and islands are formed by a combination of waves and winds from the Southern Ocean battering the coast, and seeping rainwater, eroding the soft limestone. 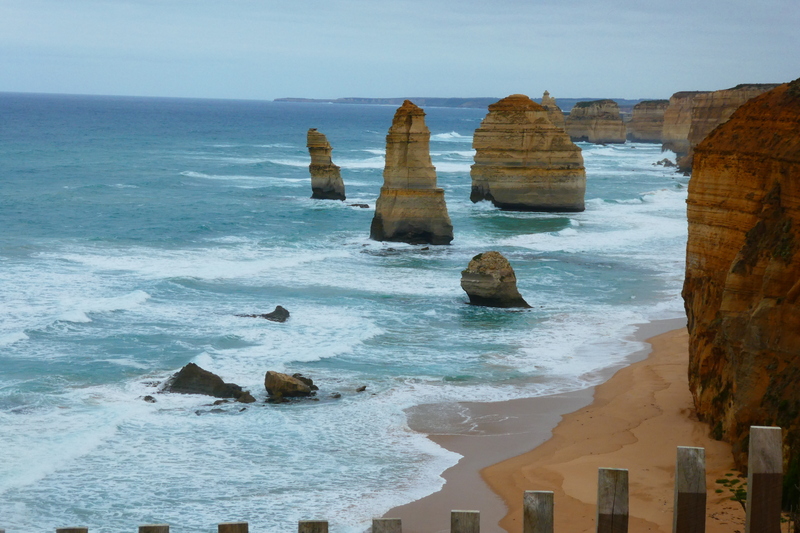 There are now only seven of the twelve Apostles left. 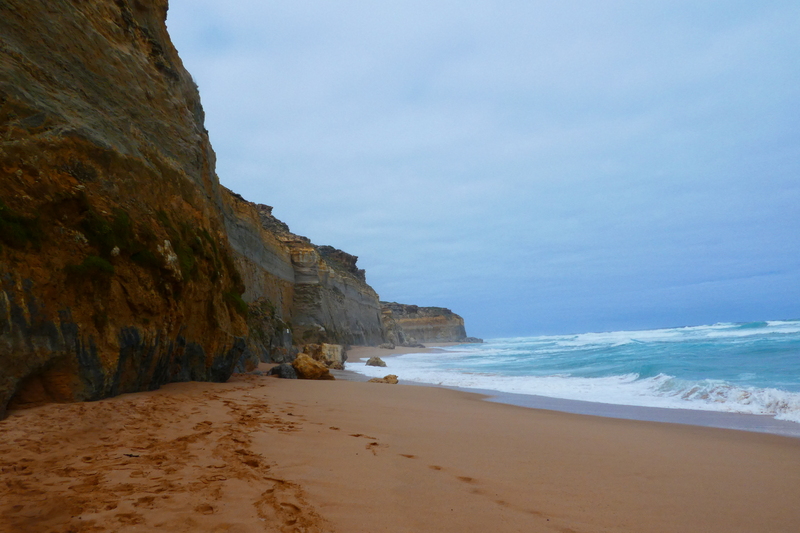 I walked the kilometre through scrub to Gibson’s Steps, to get some photos from the beach. 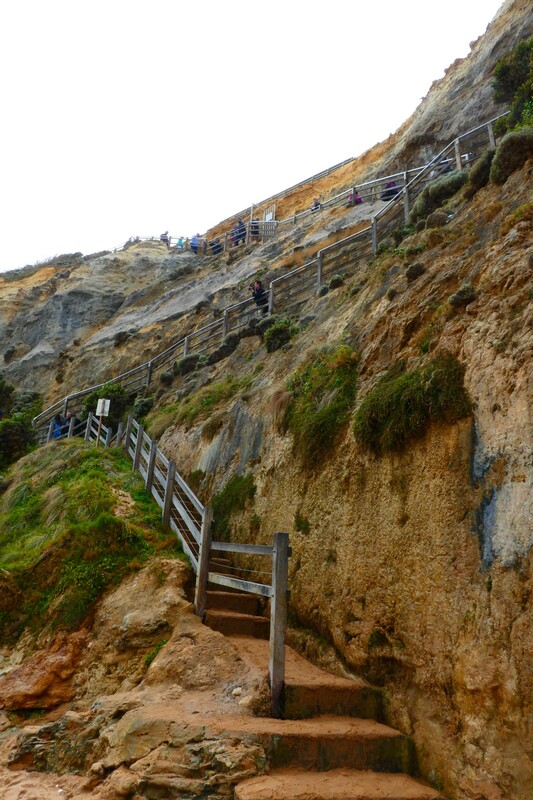 It was pretty awesome being down there with the ocean and surrounded by the reddish-gold cliffs. It was a good workout climbing back up the steps, but I made it with only two stops. I was glad I was looking down as I walked back along the path because at one stage I found myself two paces from a snake. 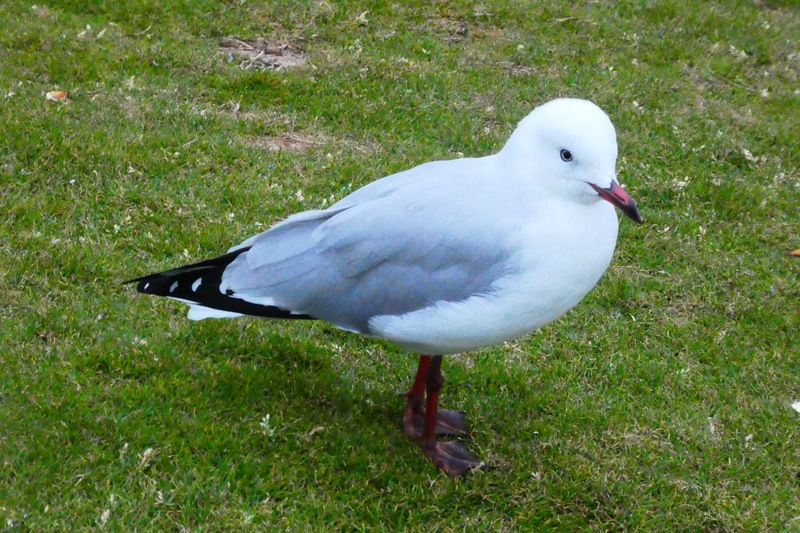 We looked at each other for a couple of seconds, then it decided it would be better off back in the grass. By the time I’d got my camera out, it was gone. 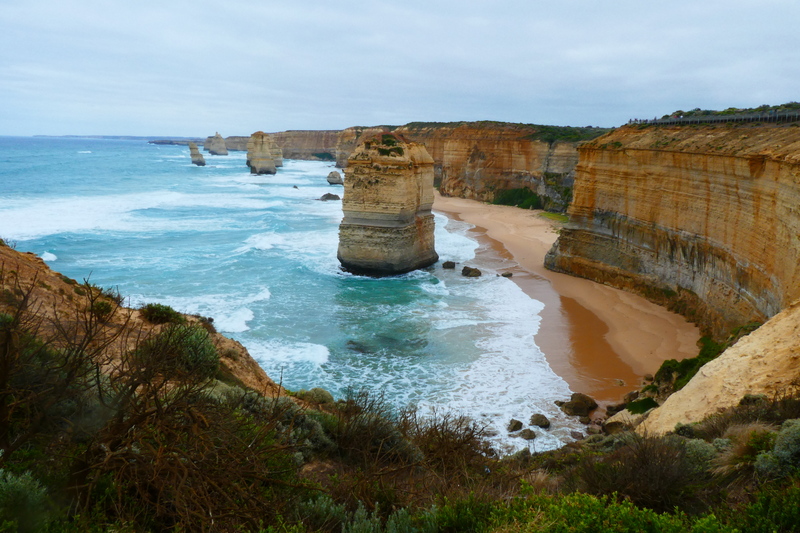 I decided against Loch Ard Gorge, being a bit short of time (it was a five-hour drive from the other side of Melbourne), and having seen it last time. It’s the spot of the Loch Ard shipwreck, and the gorge was the place of an amazing tale of survival. Not to be missed if you haven’t been there. 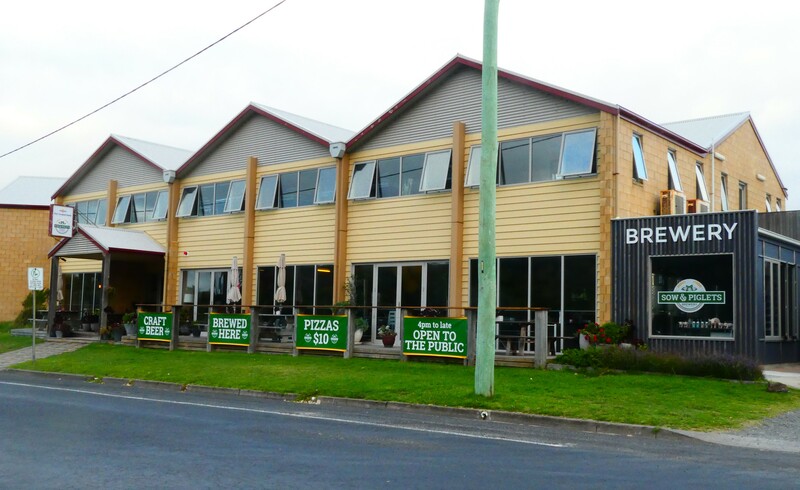 I headed back to Port Campbell where I was staying for the night in the new backpackers hostel. 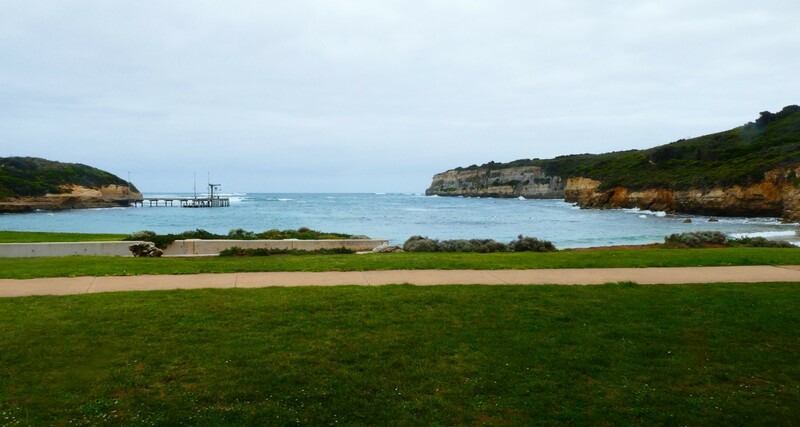 Port Campbell is a nice little town, set around a horseshoe bay. 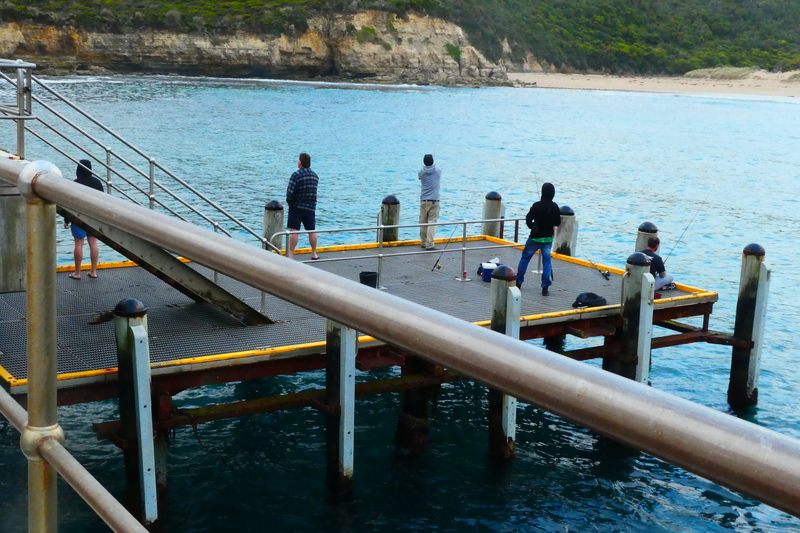 The pier, a good place for fishing. At dusk I wandered down to the bay to try for a photo of the sunset but by that time it was too cloudy. It was very quiet and peaceful, sitting on a bench looking out to sea after a very long day on the road. This little guy sat with me for about a quarter of an hour. He was probably patiently waiting for a chance at some food but I liked to think we both enjoyed the company. 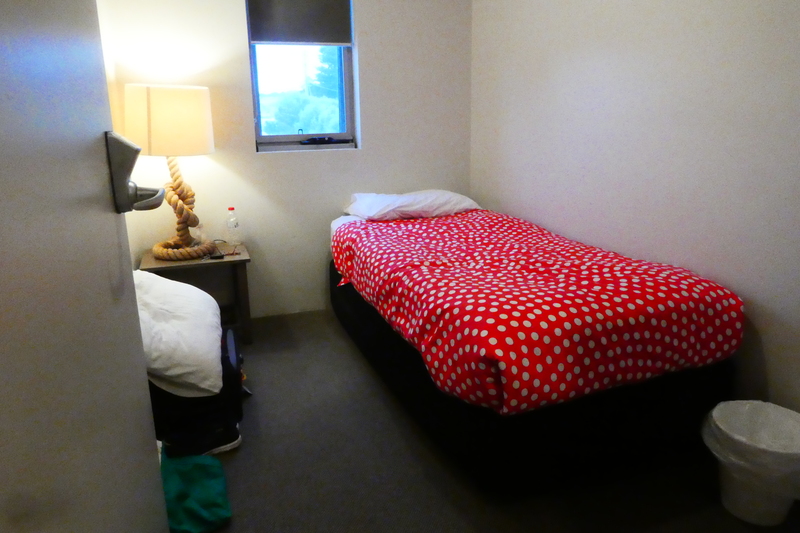 Port Campbell Hostel. Handy to have a brewery attached. My room. Tiny, but a place for everything. In the morning, I headed west to what I remember as my favourite place along the coast, The Bay of Islands. I stopped at various spots along the way. London Bridge has a good story to it. 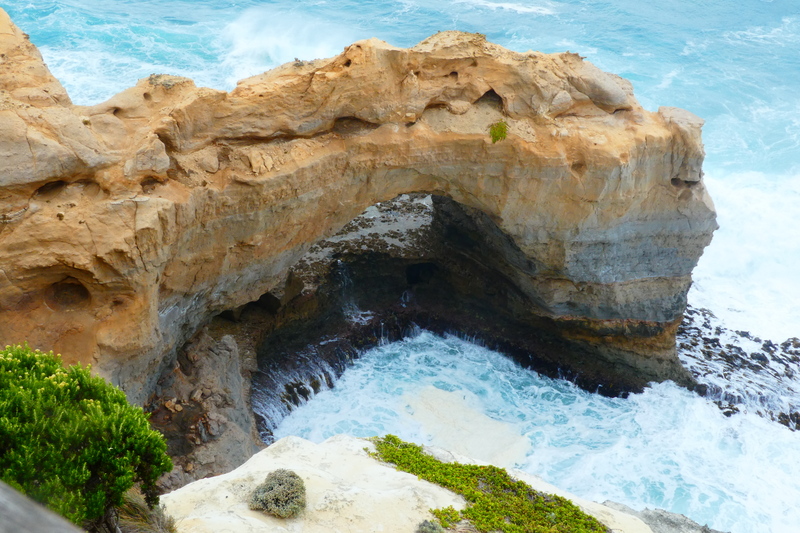 Originally a double arch, the inner arch collapsed in 1989, leaving two people stranded on the outer side. They had to wait there for a helicopter to come and rescue them. I stopped for coffee at Peterborough Antiques and Art in Macs Street, Peterborough, an absolutely beautiful little shop. Really worth a look if you’re passing through Peterborough. Re-energised, I headed for the Bay of Islands. 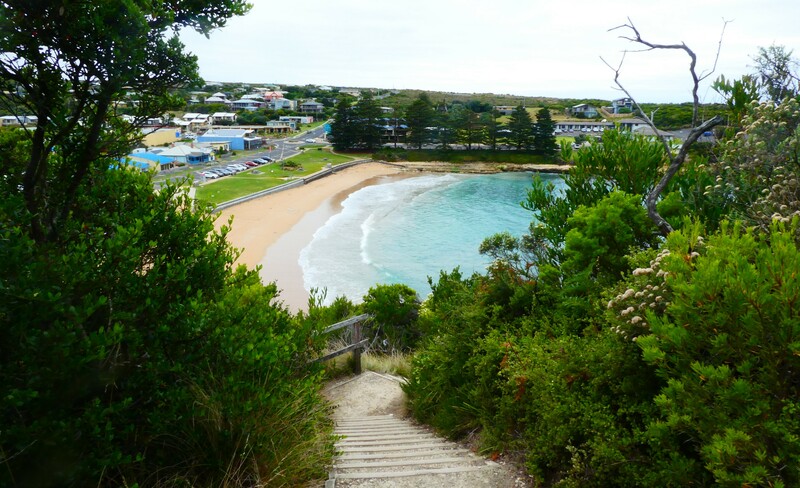 From there, I drove along to the rural city of Warrnambool, which I’ll leave for next time. Such a special part of Victoria and so many wonderful memories you’ve reignited. Thanks Coral. Thanks for the feedback, Miriam. It is special, for sure, though I think next time I’ll give myself a bit longer. It’s a long way for just a couple of days. Cheers. Yes, it is a long trip, especially when you go as far as you did. 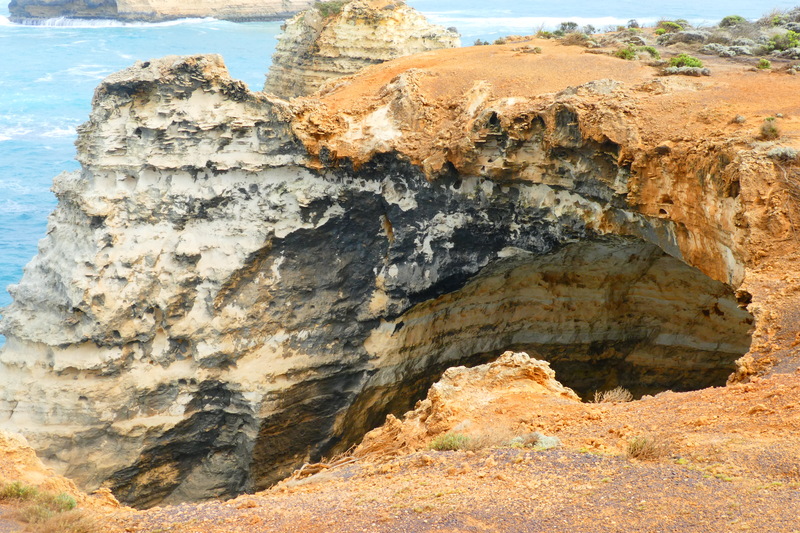 I can remember going for a weekend drive once and ending up in Mount Gambier, South Australia. That was pre kids! Fabulous, Glenys. Have a great time. You should work for the Australian Tourist Board. It makes me want to visit. Thanks, Richard. It would be nice to be paid to travel. 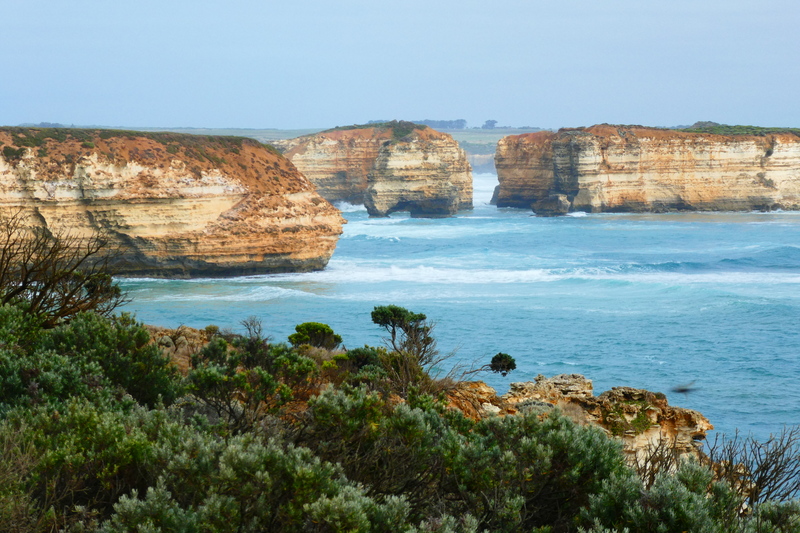 I’d like to explore that part of the coast sometime Coral as I’ve not visited Victoria. 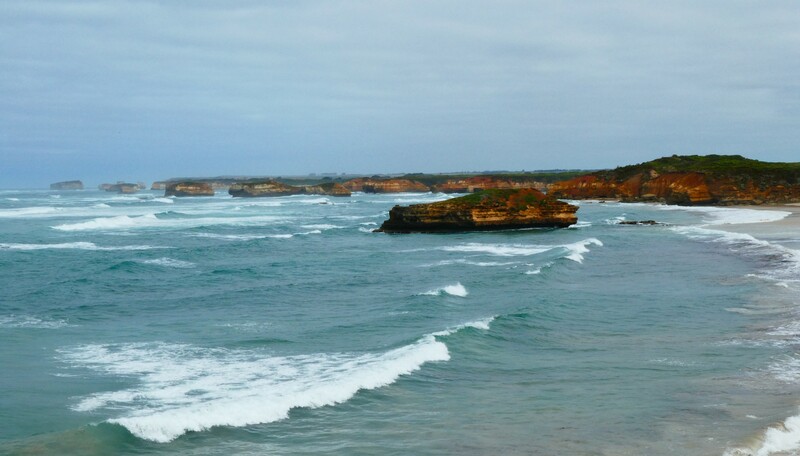 It’s a great part of the coast, Marion, pretty wild, which I love. There are a heap of shipwrecks on the sea bed along there. There are also some lovely little old towns inland, many from the gold rush era. That is a beautiful place. Echoing what was said above, you make me want to head right there. Such s stunning stretch of coastline. I’ve only seen this area once and I can clearly see from your photos that we’ve missed a few gorgeous spots. Looking forward to getting around that way again when we can to fill in some gaps. I’m new to your blog – I think I’m going to enjoy following along. Thanks so much, Chris. I hope you can get back down there. 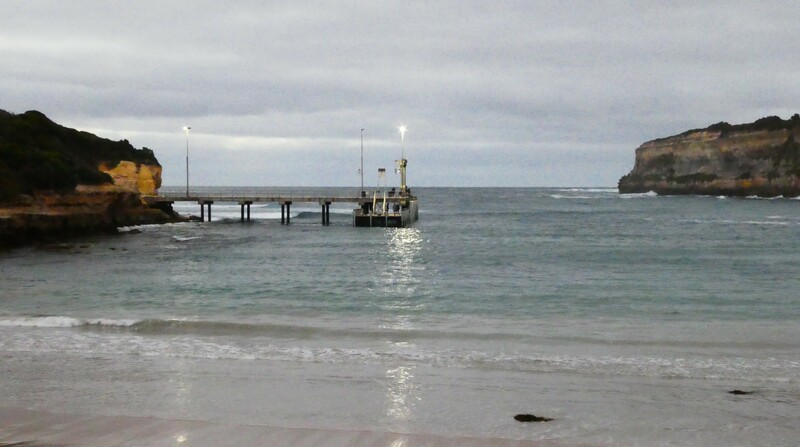 It’s worth a couple of days, perhaps going all the way along through Warrnambool to Port Fairy. Cheers. 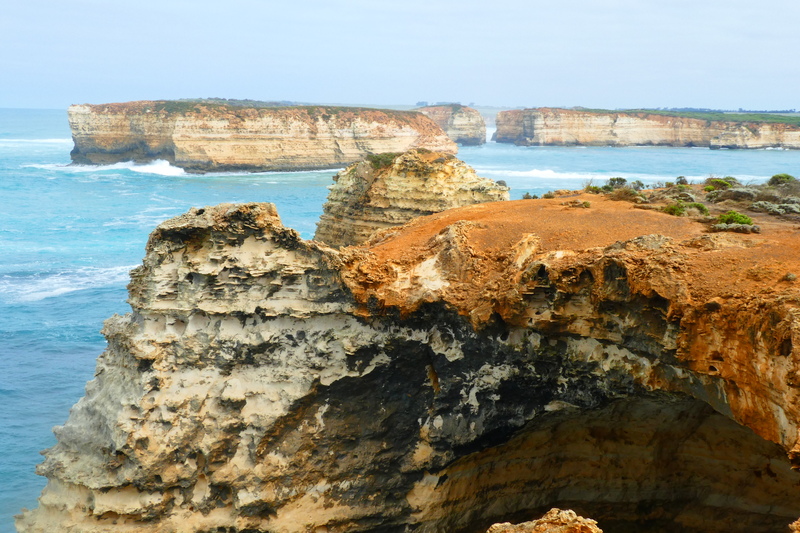 Yes, it’s on the list to see more of Australia. Thanks for the inspiration. Sure is, Michael. It’s a good time of the year to go, too. The sun was out the whole time. It looks gorgeous in Cape Town we have a mountain range called the 12 Apostles. It is close to the shoreline and just as great. Victoria looks wonderful. How fabulous. I’ll have to get across there one day. I so wish Australia wasn’t so far from everything. Cheers. It is rather far but from what I have seen it is a beautiful place. Hope you do get to visit Cape Town.